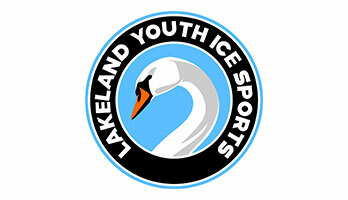 Lakeland Youth Ice Sports provides the Youth of Polk County and beyond the training and access to healthy and fun world of Figure Skating, Ice Hockey and Ice Sports. Opportunities for Children to play in a safe year-round environment are becoming more and more scarce. Lakeland Youth Ice Sports provides those opportunities for children to take to the ice along with equipment and facilities tailored to their needs. In addition to physical exercise, Skating promotes confidence, pride, focus and responsibility while maintaining an emphasis on fun and healthy living. The achievement of progressive goals in a physical and emotionally supportive atmosphere with trained professionals creates a positive self-image that enhances the quality of life and the participant’s ability to succeed in life’s other challenges. Our programs are fully inclusive in terms of age, race, gender and ability. The ages of skaters range from 18 months to 18 years of age. Our goal is to encourage a skill and a passion that will remain with that skater for a lifetime. Working with our partners and fellow ice professionals we will ensure that the best possible opportunities are provided for the Youth of Polk County. Grants from this fund will provide support to the agency to carry out its role and purpose in the Polk County area.